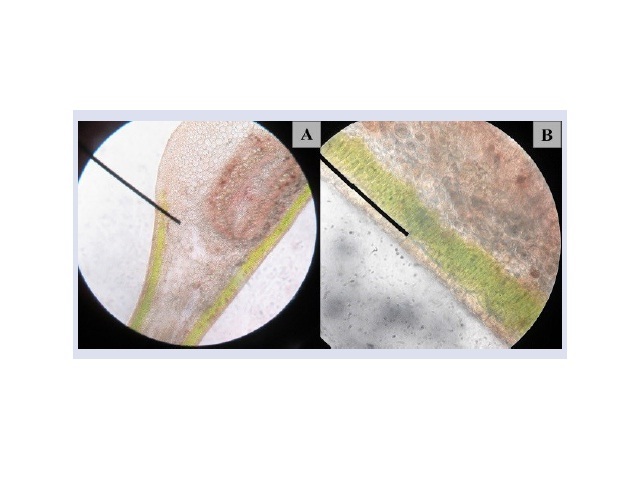 The flavonoid histochemical Assay of S. caseolaris leaf cross-section. A=10x10 magnification; B=40x10 magnification. Ilmiah HH, Nuringtyas TR, Nugroho LH. Accumulation of Potential Photo-Protective Compound Groups in Mangrove (Sonneratia caseolaris (L.) Engler.) Leaves. Pharmacognosy Journal. 2018;10(3):576-580.